Many comic book readers may have gone to pick up their comic books and wonder what an old looking Spider-man comic was doing on the shelf. On the week of May 9th, 2012 Marvel released the first book of a reprint of a 1989 graphic novel. This review will avoid any spoilers for people who do not know much about Spider-man. 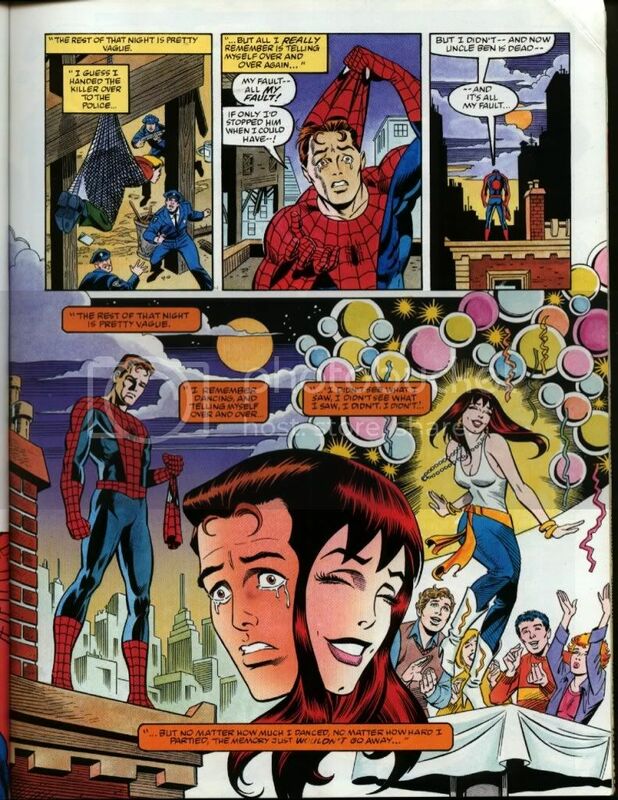 This book mainly is a retelling of the origins of Spider-man, Mary Jane, and Doctor Octopus. This book has classis 80's and 90's comic art. Even though it jumps like crazy with time, this book still hints to the fans that know most of the history that it did happen. For example, does not mention much about Harry Osborn the books still leaves a hint that his history with Spider-man is still there. Like most retelling some minor details changed in the retelling, but not a lot. The timing of the release is brilliant. Instead of making a new series like Marvel did for the Avengers, Marvel is releasing this timeless classic again. This book will help anyone wanting to catch up on Spider-man before the movie comes out.